Are you sure you want to subscribe to updates for Telit LE910-NA V2 LTE CAT-4, S.SKU, mPCIe? 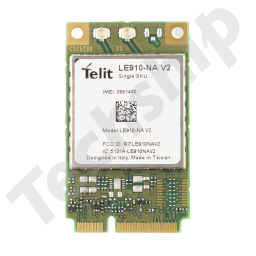 Telit LE910-NA V2 LTE CAT-4 Single SKU is a miniPCIe data-card designed for devices with high data throughput but small form factor requirements. Its target frequency band region is North America and also have AT&T carrier certification. Fallback to 3G/UMTS is also included, module is compliant with 3GPP Release 9 and fully certified. Using USB 2.0 HS it is easy to integrate with your applications host system and peripherals. This Single SKU version offers the flexibility to switch between AT&T/T-Mobile/Canada and Verizon software configuration and vice versa. The mini PCIe form factor has become a popular standard adopted by connected device manufacturers to easily integrate wireless connectivity into devices for commercial and industrial markets, in mobile computing, kiosks and electronics in general. Standard Mini PCIe Data-card form factor. Increased connectivity performance with MIMO 2x2. Ideal for m2m applications and devices with compact design and extended operating temperature range requirements. Internet friendly with integrated TCP/IP and UDP/IP stacks. LTE technology interchangeable with HSPA+ or EV-DO counterpart Telit miniPCIe modules. Rx diversity allows end-device to be equipped with two cellular antennas improving the quality and reliability of the wireless connectivity. This document contains an overview of the Telit xE910 series miniPCIe modules. This document provides a technical overview of the Telit LE910 V2 Series LGA cellular modules. The aim of this document is the description of some hardware solutions useful for developing a product with the Telit xE910 Mini PCIe Adapter. Scope of this document is to give a description of some hardware solutions useful for developing a product with the Telit LE910 V2 module. Scope of this document is to give an overview of the good rules to integrate a 2G, 3G, 4G modem with its antenna into a board, posing particular attention on the common pitfalls and best practices. This document covers the more significant standard and proprietary AT commands provided by Telit's modules. Several module features are described and for each one of them the related AT commands are explained through examples. This document is not an exhaustive description of the AT commands implemented on the Telit's modules series, its target is only to give you an entry point to the AT commands world. This document describes the integration steps of the cellular modules USB endpoints in Linux systems. 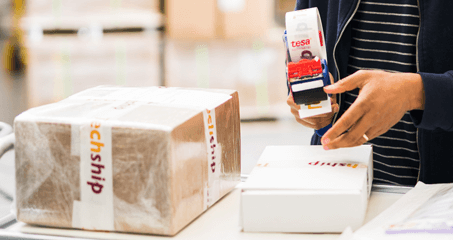 This document provides a guideline to configure a Telit module and the connected PC to run the NCM protocol on the USB port used to connect the devices. Scope of this document is to give an overview of the Telit LE910 V2 series, which can support LTE communication. It is intended for potential customers that are evaluating the adoption of this product series. How to collect initial diagnostics data for Telit cellular modules when requesting technical support? 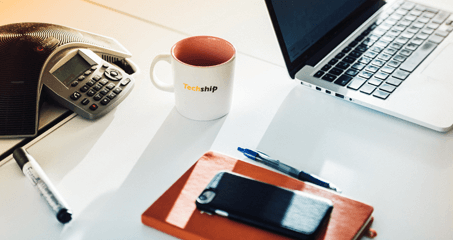 How to collect initial diagnostics data and logs for Telit cellular modules needed when requesting Techship technical support? 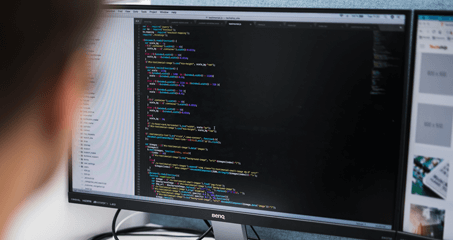 Solution: In order to troubleshoot and solve a technical problem, we ask you to please provide information about your system and logs from the related Telit module when creating a technical support ticket. The logs from module firmware can be acquired by accessing one of the USB enumerated serial (COM) interfaces accepting AT commands. (In Windows this is generally modem devices or AT commands serial interfaces). Send the following commands to module and capture the text output and include them when creating the the technical support ticket. How to set up a simple data connection over the MBIM interface using libmbim and driver cdc_mbim in Linux? Most 4G/LTE cellular modules implements the USB Implementers Forums Mobile Broadband Interface Model (MBIM) Interface. This because Microsoft request cellular module vendors to include the MBIM interface for good compatibility with Windows 8, 8.1, 10 and later systems. The Windows built-in connection manager also rely on MBIM interface for control of the cellular modules. First create a config file containing your network operators APN details. Save it in the default location where mbim-network searches for the file: /etc/mbim-network.conf . The parameter --profile=[PATH] can be used to alter this path when executing mbim-network. If the APN requires a username and password then it is also required to fill in the APN_AUTH protocol type with either PAP, CHAP or MSCHAPV2.